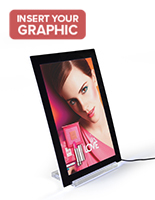 This slim light frame can display retail signage in an interseting and unique manner! 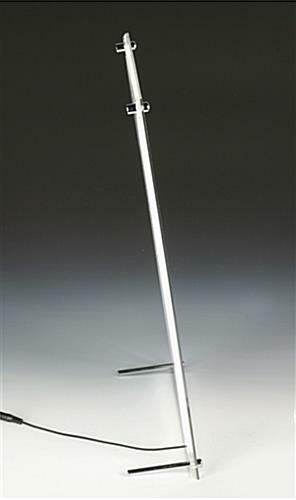 We have hundreds of retail signs in stock today! 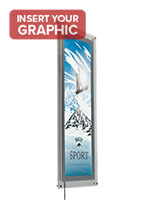 A slim light frame is designed to display promotions and advertisements in a whole new "light"! 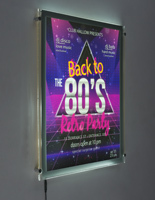 An illuminated picture frame, slim light frame uses edge-lit LED technology to illuminate signs and prints. 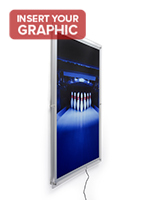 It is elegantly engineered to evenly spread light across the entire panel's surface. 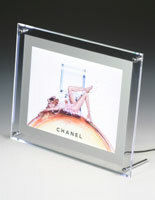 Prints and advertisements will really stand out in this illuminated picture frame! 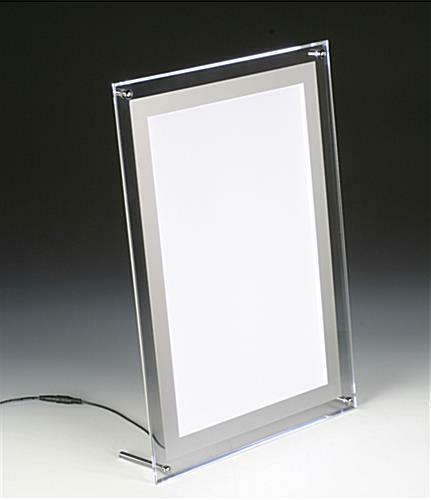 A slim light frame, also known as an ultra-thin light frame, is very easy to use. To load pictures, simply unscrew the 4 sets of metal plated binding screws located in each corner. 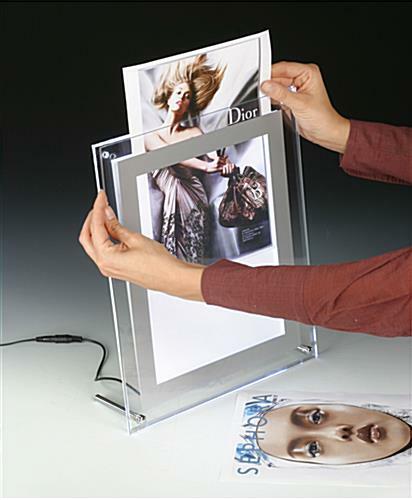 Slide your print between its 2 acrylic panels into the ultra-slim light box. Your image will appear to float inside its inner silver frame. 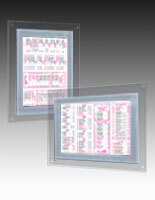 Fastened together, its panels measure only 0.35" thick! 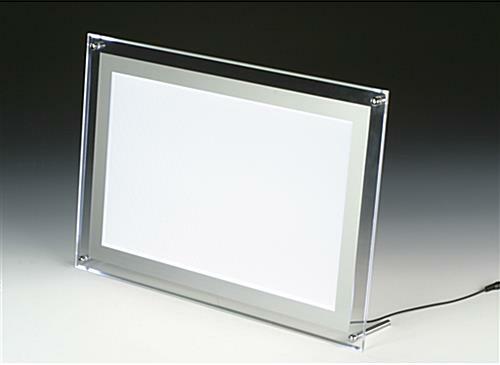 An illuminated picture frame, slim light frame can be wall-mounted using 4 small screws and a Phillips head screwdriver (not included) or placed on a countertop using 2 longer binding screws. Extra hardware is included with each light frame. By simply amending its supporting screws, you can easily change images to be shown in either a vertical or horizontal presentation. 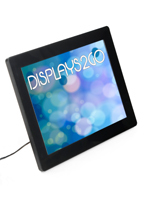 Plug in its power adapter to illuminate and watch as this super slim light frame catches the eye of every passerby!